Originally this started out as just a few teeth morphs for the Aging project, but this one got quickly out of control and became so big that I decided to make it a stand alone project. 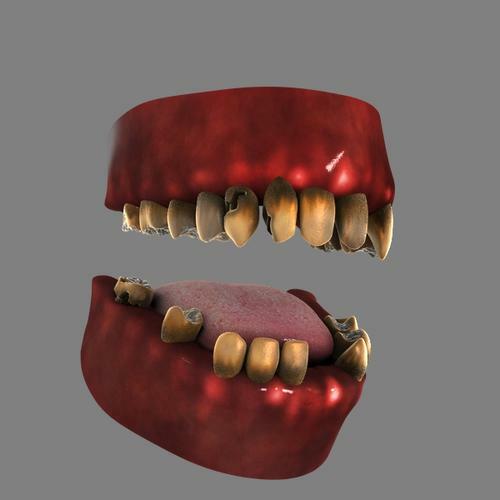 Now you have full control of what you want your teeth to look like all in one package.. You can control grouped morphs and individual teeth to create endless possibilities. I have partnered up with the very talented Draagonstorm who will be handling the textures/materials and shaders. Basically you can choose to have your teeth and gums in perfect condition, or if you want, you can have them as rotten or yellow as you like. Here are some screenshots of the morphs. The materials are still in developement, but for now this will give you an idea of what this product is about. Enjoy. Some variations of combined morphs. Glad you like:) I might add more morphs if I can think of any good ones that will add value to the set. I'm glad to see you're separating these out. One thing I was thinking when you were showing some of the images in the other thread was that it would be really useful for people at the other end of the age spectrum. Kids who are teething, or just getting in their adult teeth. Having it separate is a really good idea. Seconded! 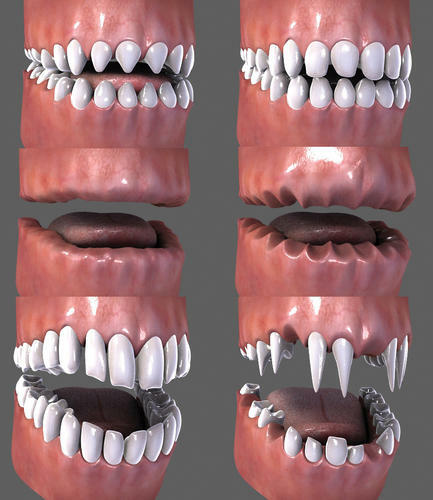 I've always felt that teeth needed more work in terms of morphs and textures. Awesome! Will there be... Broken teeth? For those who may have been in combat and sort of... Lost a couple in an imperfect way? can you make spiny or saw like teeth too? Yes. 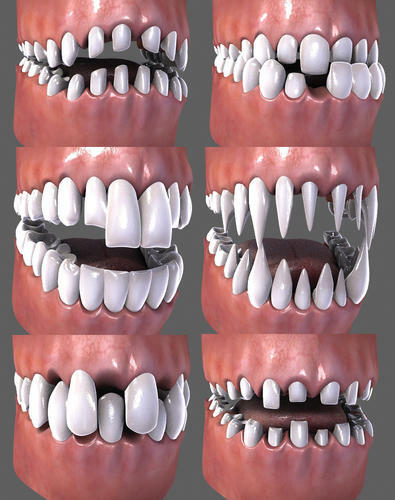 But they will probably be controlled via transmapped or displacement maps, since the poly count on the teeth is extremely low for finer details. Can you post a pic as an example so I know exactly what type of effect you are looking for. Great stuff Zev0, i had thought about doing some braces, but I had no idea what to package them with. Was wishing the other day, that I could make Genesis characters front incisors angle inward slighly and caynines stick out forward a bit, this makes for a very cute look on females.hopefully your product will be able to do this? There are those morphs. I have been developing a few since I last posted. 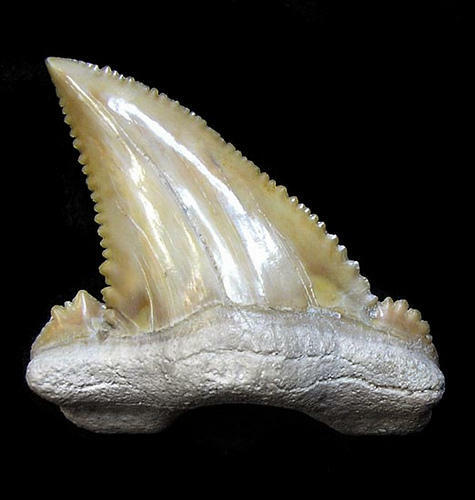 But they are grouped morphs which means it applies them to all the teeth or just upper teeth or lower set. If I had to make them for each tooth that would be around 4 morphs (basic movement) per tooth x 32 which totals around 128 morphs. A bit much if you still add that to the grouped morphs. I will however make more presets which don't rely on dialing the morphs, which can also be modified by adjusting the current morphs. Send me a pic example and I will do the morph for you:) There are still a few morphs I am busy with. But at the same time I do not want to clutter the product. I am happy with where it stands at the moment. Now, we need a set of dentures and some loose teeth. Lol that will have to be an expansion pack or something. This product is strictly morphs and materials. OMG This has really flourished man! Love it and Want it! 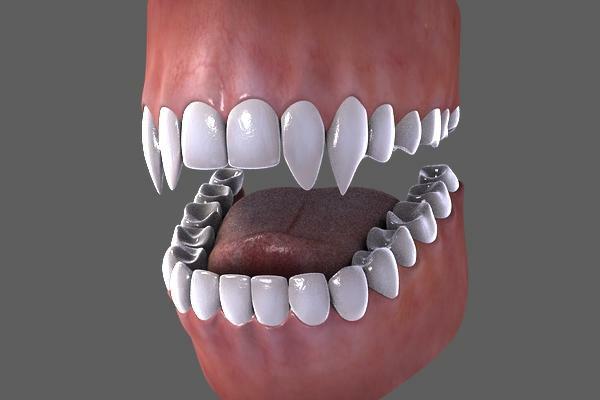 May I request some fang morphs for the canine teeth. I've designed a particular race, humans in another stage of evolution... 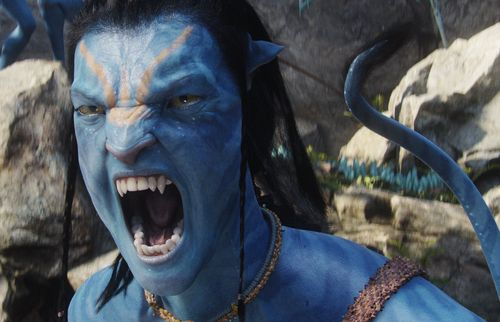 Anyway, they are distinguished with feline like features, dentally, they have pronounced canines... perhaps something similar to the dentition of the Na'vi in Avatar... But of course it's something you could go to town on LMAO. 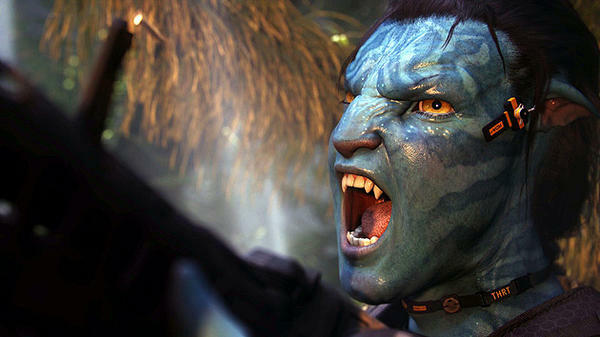 Includes bottom canines which Avatar didn't do. Here you go. All created using the morphs. No, I'm not sure what textures Zev is using. The texture I used is M5 philip. It's the light setup that I made that brings out the detail.